Say what you like about Final Fantasy, but on the audio side of things, the franchise has always hit some high notes. And quite a few others as well. 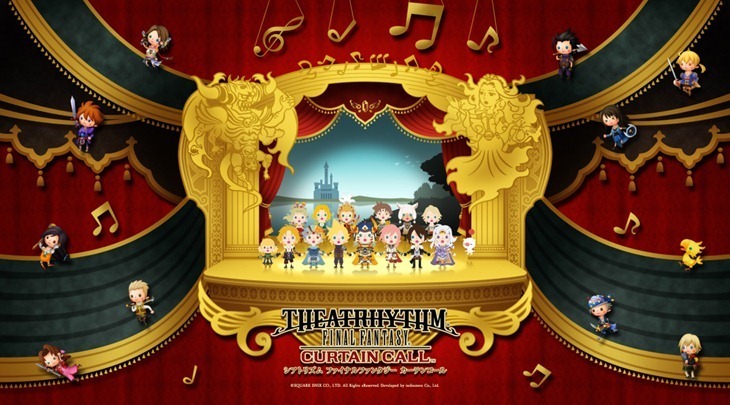 TheatRhythm Final Fantasy: Curtain Call is the next game in that musical series that pays tribute to some classic tunes. And it has a collector’s edition that is packed with great tunes. 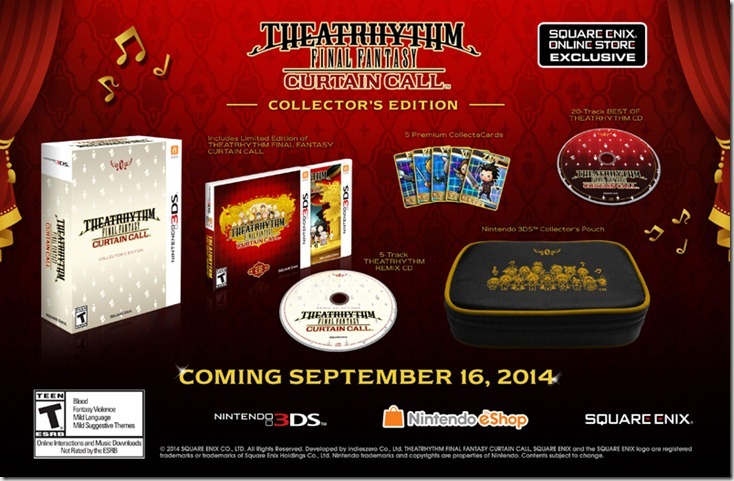 Limited to 5,000 copies, the first-ever Collector’s Edition for the Theatrhythm franchise will feature a branded Nintendo 3DS system Collector’s Pouch, a robust 20-track ‘the Best of Theatrhythm Final Fantasy: Curtain Call’ Music CD, ‘Theatrhythm Final Fantasy: Curtain Call – Remix Selections’ Music CD (five-tracks)”, and five premium CollectaCards from the game. The Collector’s Edition will be available for $69.99/£44.99/€54.99. exclusively through the Square Enix Online Store. TheatRhythm Final Fantasy was actually a pretty decent game. It had a chibi look to it, but the combat and musical mash-up was solid overall. And it was packed with plenty of memorable tunes overall. Sniff, I’m not crying dammit. I just need to shed excess manly body-fluids. If you’d rather get a vanilla edition, TheatRhythm Final Fantasy: Curtain Call will be out on September 16. New characters, new stages, new tunes and new battles.